"Shake 'n Pour" mixes are going to work very well. This was a quick test to see which direction we should go from the recommended water to mix ratio. 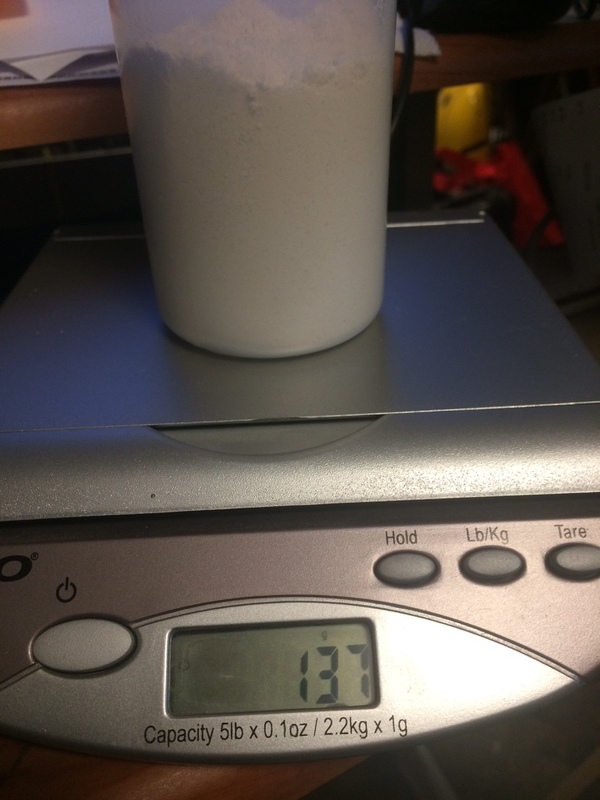 The water amount recommended on the mix container is a bit thin; but, very close. So, we know the next test will have to use less water. 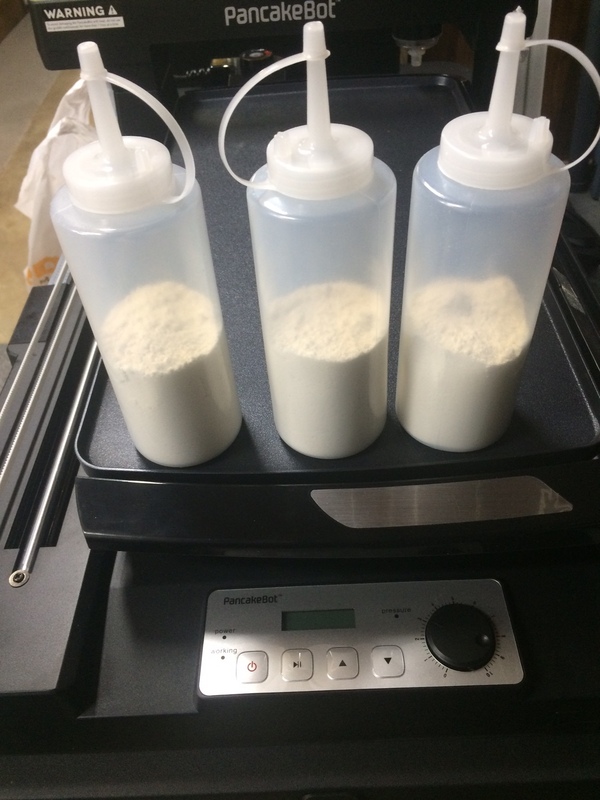 We divided the 300 gram contents into 3 batches for testing. The recommended water is 1.5 cups for the full container, so we used 4 ounces for the first batch. Tomorrow we will try the second batch with 2.5 ounces and test the results. We're trying to use a bracketing strategy to find the optimal water amount we can use for each demonstration. Miguel Valenzuela Please contact me for orders and I can help facilitate an education package. 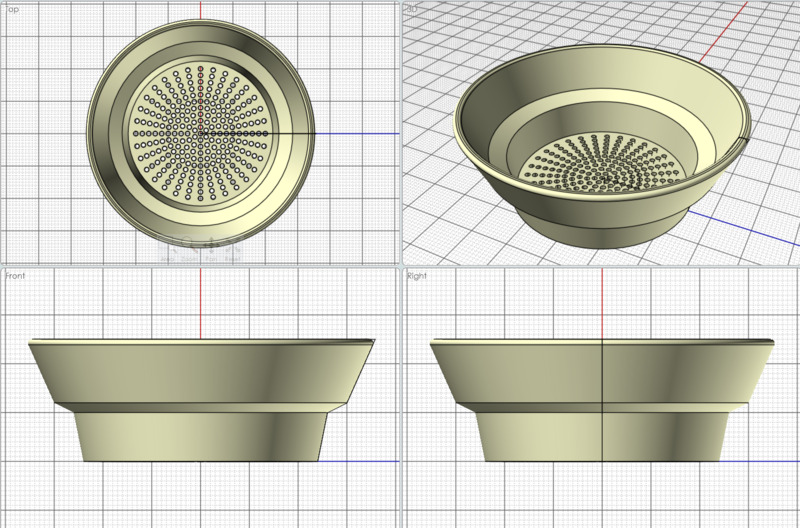 Thomas Daniel Meeks Possible 3D Printed Accessories - Batter Trap. 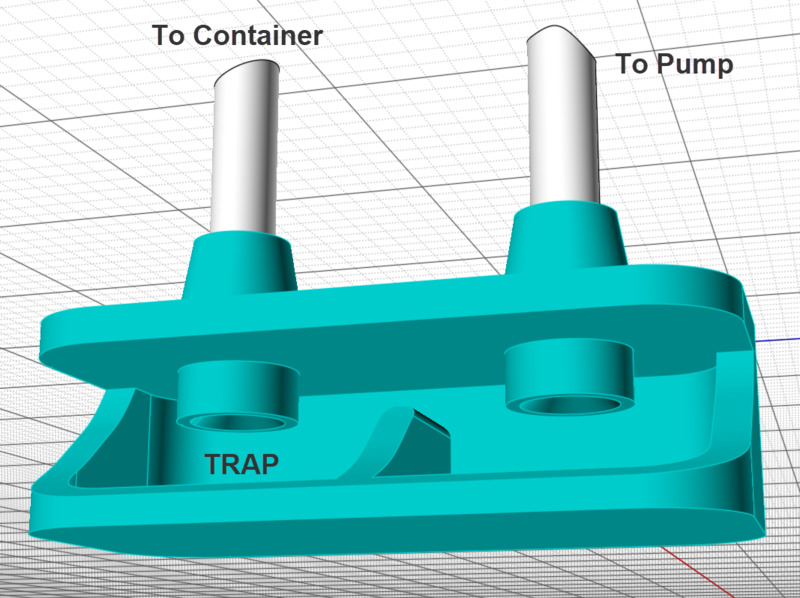 If batter is sucked in from the container, it falls to the bottom of trap and is prevented to reach the side going to the pump. This is simple a notional cut-a-way drawing and not to scale or final shape. Thomas Daniel Meeks We have learned that we probably want to pour the measured "Shake 'n Pour" contents into a bowl to get a better mix. we can add some food-safe 3D printed accessories that should make things better. I'm thinking a strainer that fits the exact dimensions of the bottle opening and an additional trap inline with the hose to add one more level of protection from getting batter into the pump, etc.